Mission Trail Wildomar, CA. | MLS# SW17146770 | Temecula, Murrieta, Menifee Homes for Sale & Property Management! Great Opportunity here! 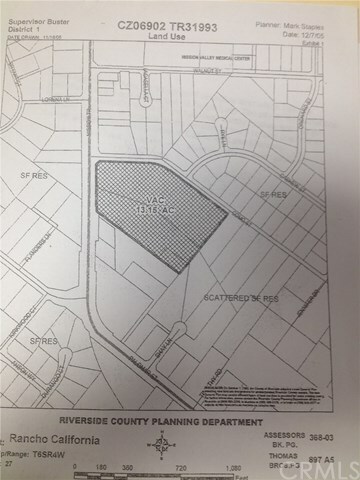 13.15 Acres of desirable land which has the potential of being subdivided into 25 Estate lots. The city of Wildomar has become a community known for its rural feel, estate homes and horse property. This parcel is conveniently located close to the I-15 and one of the fastest growing cities in Southern California, Lake Elsinore.